On June 21, cities all over the world were inspired to dream again. 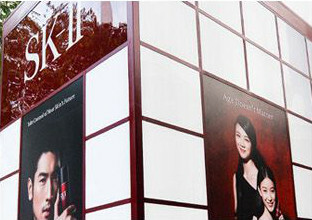 To challenge and inspire adults to dream big, SK-II staged a simultaneous multi-city series of events on June 21 in 10 cities around the world – New York, Beijing, Tokyo, Seoul, Hong Kong, Singapore, Taipei, Kuala Lumpur, Jakarta, and Bangkok – creating a “Dream Again” movement on a truly global scale. From the Great Wall of China to New York’s Madison Square Park, SK-II’s “Dream Again” events captured the hearts and attention of crowds in each city on a local level, but all shared a common theme in enlisting the help of the world’s biggest dreamers: kids. In Kuala Lumpur, kids teamed up with local celebrities Yuna and Aaron Aziz to organize a surprise meet-and-greet and live counselling session, inspiring unsuspecting fans to pursue their forgotten dreams and dream big. 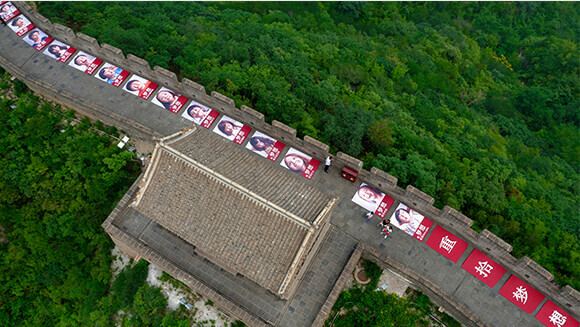 In Beijing, larger-than-life posters of kids proudly declaring their dreams were plastered across long stretches of the legendary Great Wall of China - itself a historic symbol of achieving what was once thought impossible. These impactful banners transformed the monumental landmark into a giant installation of dreams, encouraging the masses of Chinese visitors to believe in their right to dream. Simultaneously in Tokyo, kids partnered up with local stars for a takeover of the iconic Shibuya Crossing, the world's busiest intersection. After live counselling sessions with the kids uncovered the revelation that many Japanese adults have lost their ability to dream, the kids' encouraging words inspired them to remember what it was like to dream big. In the heart of Seoul, dozens of kids paraded in the busy Gangnam district alongside popular local celebrities, carrying balloons and picket signs spreading the message of never letting go of your dreams. The event culminated in the "Dream Again" concert featuring local popstars and live kids counselling, inspiring adults to dream their own dreams and never let them go. As part of SK-II’s ongoing #changedestiny campaign empowering women to pursue their dreams and take control of their destiny, the “Dream Again” events also featured the global premiere of the new SK-II film, “Dream Again | SK-II #changedestiny". This new film was created in response to the Global Dreams Index Survey conducted by the brand in early 2016, which revealed that half of the world’s women have given up on their dreams. With the help of kids at the “Dream Again” events and in the “Dream Again | SK-II #changedestiny" film, SK-II hopes to inspire adult women everywhere to believe that it’s never too late to dream again. 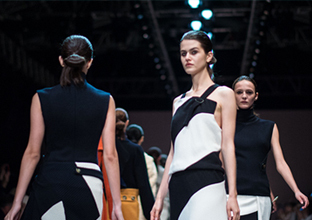 Watch the “Dream Again | SK-II #changedestiny" film here.